- A fabulous warm and sunny family holiday home on a large flat site with only a 5 minute walk to the lake. Easy boat launching at Eeely Point and safe swimming at Bremner Bay or Eeely Point. - Great relaxing and quiet place to stay and holiday all year round. - Good kitchen with all utensils required for preparing food and cooking. - New bathroom with underfloor heating, shower with mains pressure gas heating! (awesome shower) woodburner fire, always plenty of firewood for the winter months and electric oil heaters. - Lovely new Fairydown winter/summer weight goose down duvets and separate warm blankets plus electric blankets on each bed. - Gas BBQ, Outdoor table/chairs on patio. - Garden is very sheltered and gets all day and late evening sun. - The property has plenty of parking including a double carport. Incl. room for boat parking. 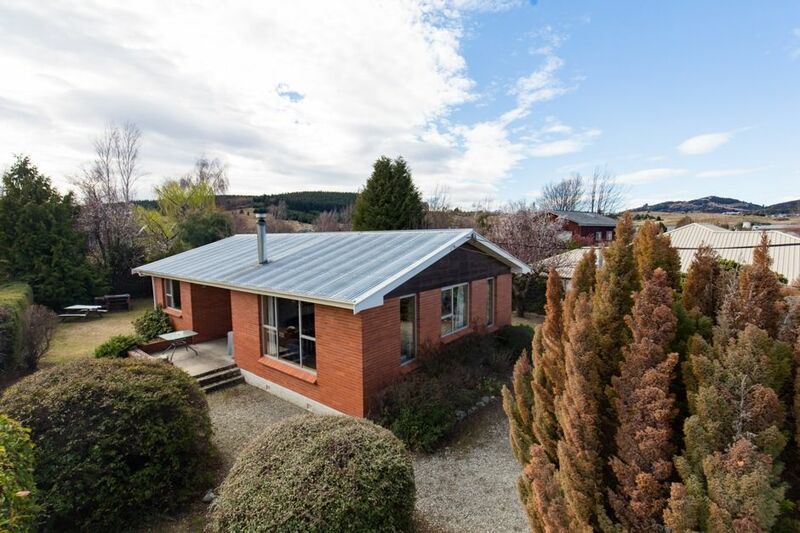 - Ride your bike on the many tracks that are on the doorstep of this property, Sticky Forest, Albert Town Loop, Hikawai, Deans Bank, Glendu Bay track, Lake Hawea and Luggate ride or take a gentle ride around the lake edge into town. - Plenty of board games and movies. -Linen Hire $27 per person (2 x sheets per bed, towels, hand towels, face cloths, tea towels). Large sunny flat section with established garden. Full sized section of 809m2 sheltered from the wind. New very comfortable beds. 30 min Drive to Cardrona and Treble Cone. Cycletracks on the doorstep. Boat launching and lake 5 mins away. 15-20 minute walk to downtown Wanaka lakefront. Plenty of shops, cafe’s, restaurants and tourist activites here and great playground. One of the most beautiful lakes in NZ, Lake Wanaka is a 5 minute walk to the lake edge from the property. 5 minute walk to Lake Wanaka lakefront simply stunning. 5 minute walk to Bremner Bay and Eeely Point down at the lake. Electric column oil heaters and Enclosed woodburner. With powder provided for a couple of uses. Clothes Dryer available at laundromat inside Caltex gas station in Wanaka. tea and coffee but please top up what you use. Brand New LG Television with Free-view, Netflix, internet connected etc..
2 nearby ski resorts (Cardrona and Treble Cone) Gear can be hired in Wanaka or on the mountain. This spacious, comfortable property was ideal for our family stay in Wanaka. Well equipped with a great outdoor area and barbeque. A short walk from the lake and easy access into Wanaka. We were disappointed that the beds weren't made up for us when we arrived but after contacting the owner this was soon rectified. Pleased to hear you enjoyed your stay in our holiday home. Sorry the beds weren’t made at 2pm when you arrived we had a miscommunication with our cleaner. However we had the cleaner there within 5 minutes to rectify the problem once we got your message. Thank you for your recent booking. You left the house very clean and tidy. The location was close enough to the town center, yet quiet. The location was close enough to the town center, yet quiet. The home was well maintained and very clean. The only issue was the lack of internet service. The only internet available was the city library, which was subject to the hours that they were open. The internet cafe that was supposedly available for the internet was out of business. This made it difficult to confirm additional lodging and research our routes and schedules. Other than that we truly enjoyed our stay at this property. Thank you for your recent booking and feedback. We have now added free Wifi at the property for guests. Thank you for your booking and feedback. We hope you book again in the future. We now have wifi and new tv. Very clean property and facilities as advertised. Very clean property and facilities as advertised. Great for families. Would stay here again. Thank you for your booking and feedback.